When Airtel launched “My Airtel” app, it was one of a kind. Other telecom operators soon followed suit. I did not think that I would be needing yet another app in my phone, but of late I have increasingly found myself in situations where a handy telecom app would not be a bad thing to have in my phone. Since I use a pre-paid connection, my usage and necessities have changed as I have transitioned from a student last year in to an office-goer. Currently, my communication modes involve more of emails and calls made over the internet rather than through the telecom operator. But these modes do have their short comings. Recently , I was left stranded without a WiFi, a heavy dwindling cell-phone balance because I had to use the internet from my talk time balance and had no money left in my account t make an emergency phone call.I absolutely abhor tedious dial-ups for instant recharges, or asking my closest friends to transfer talk time balance in to my account. A post-paid connection might have seemed a way out but I was unhappy with the bills I was wrecking up when I had first started college. All of these factors contributed to my decision to download the app and give it a try. I am the sort of a person who downloads an app as an absolute necessity so that they serve their purpose and I don’t end up wasting my time on the myriad of useless apps. 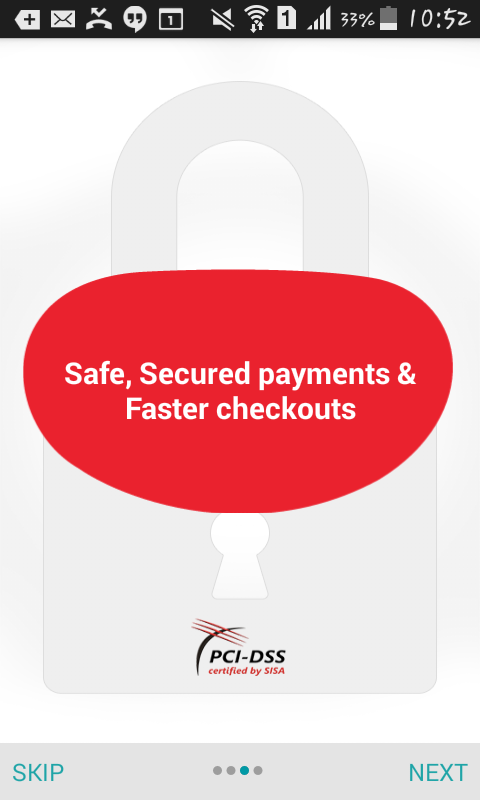 I am usually a bit wary of online transactions but PCIDSS certification makes the app a secure way to pay bills and recharge. I like the fact that I can easy recharge my prepaid connection and also get a 3G recharge on the go. Additional features include Digital TV DTH recharge ; this does not work for me as I hardly watch televison and, data card/ dongle recharges as well. 2. Free stuff and perks with every recharge! 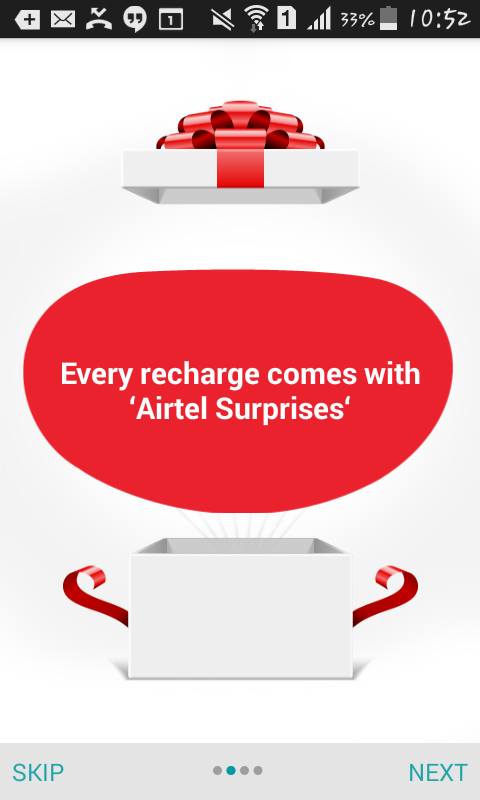 I like the feature “Airtel Surprise” coupons that are doled out with every recharge. We can redeem these coupons for shopping, food, entertainment etc.. There are vouchers and discounts for Flipkart, Cafe Coffee Day, Ebay, Amazon and VLCC among others. This is perfect for me because I can plan out and optimize my purchases based on these benefits. The set-up and the registration is fast and easy and then you are good to go. The fact that I can turn off unnecessary features and services with ease is also a welcome feature. 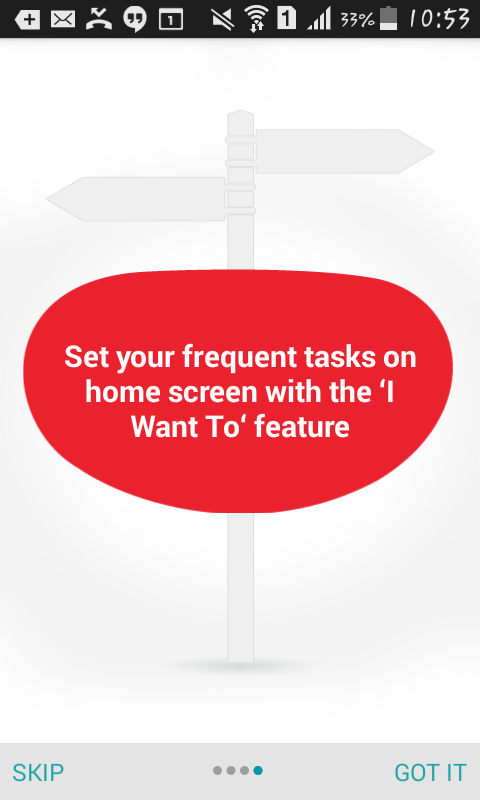 The simple, user-friendly interface gets more brownie points! I will hopefully not find myself stranded without talk time balance and my mother worrying her heart out in the future. Previous Post: My First Expert, My Mother!